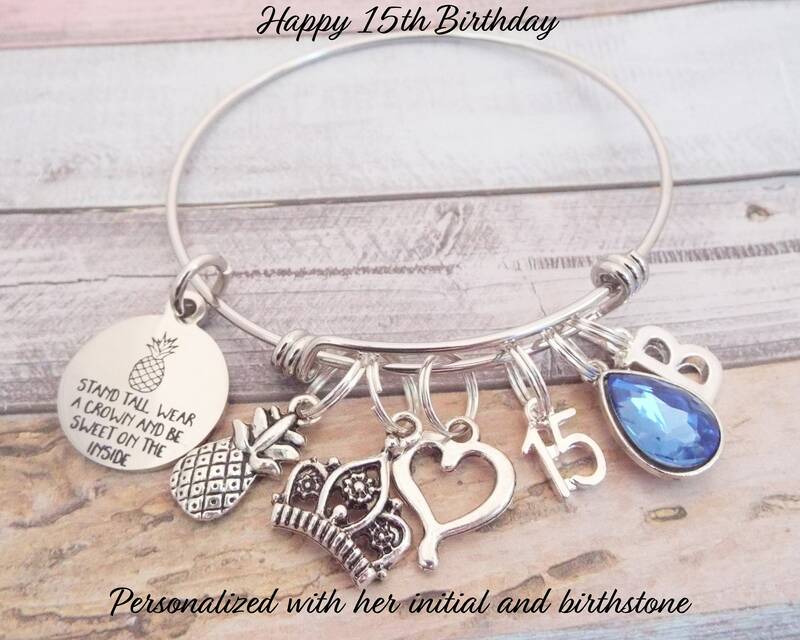 Our girl's 15th birthday charm bracelets are handmade creations that are original Hope is Hip designs. 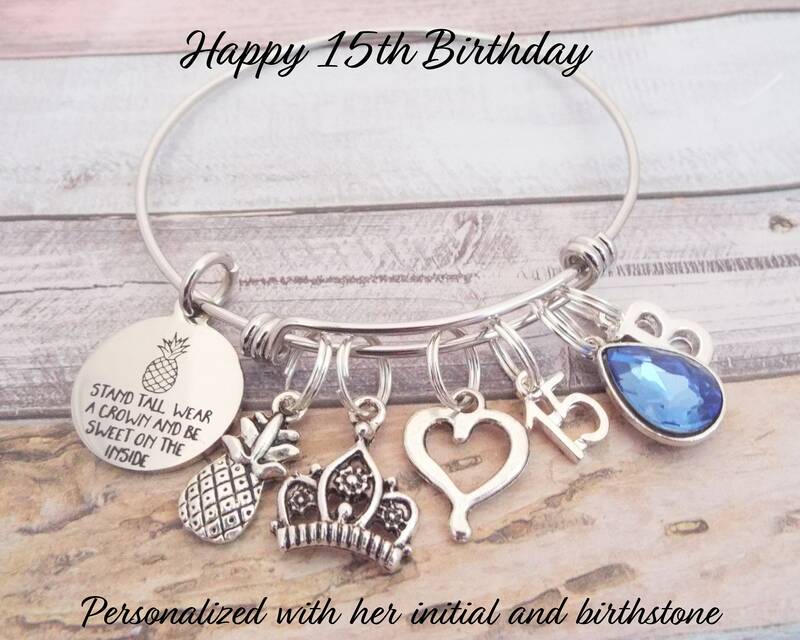 Our personalized 15th birthday jewelry is not machine made. This contributes to the uniqueness and charm of each personalized gift. Our personalized gifts are made of the finest stainless steel and are designed with "double" jump rings to ensure they will never fall off with normal use. You will be asked to select the initial and birthstone you need during the checkout process. The bangle bracelet itself is adjustable to fit most wrist sizes and is made of stainless steel. Stainless steel bracelets are always our choice for expandable bracelets. Stainless steel ensures your bracelet will never tarnish or lose it's color - it's also easy to care for. Just a quick polish with a soft cloth, and it will look like new again. Under normal wear, it's won't bend or lose it's shape - it's the perfect metal! 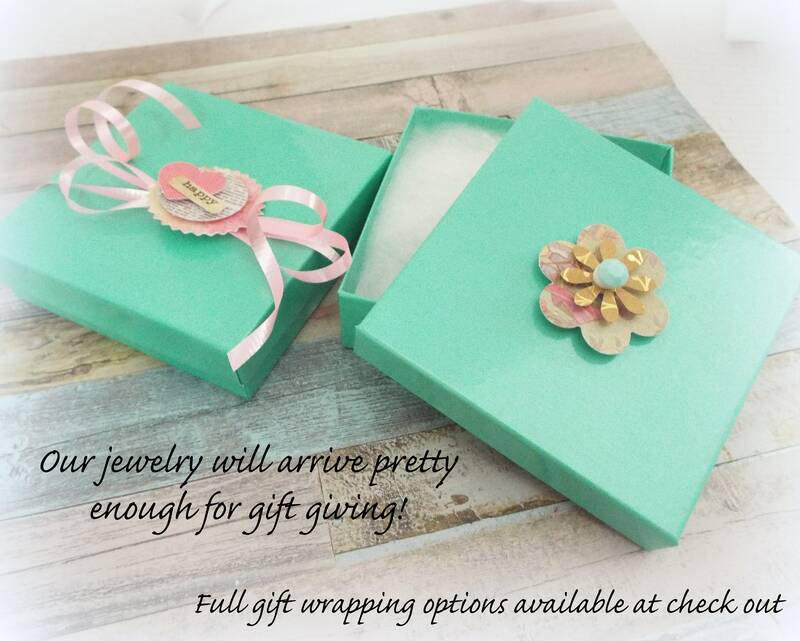 All of our jewelry and accessories come beautifully and uniquely packaged. Just email (through Etsy CONO) us and we'll add a handwritten gift card with your message. 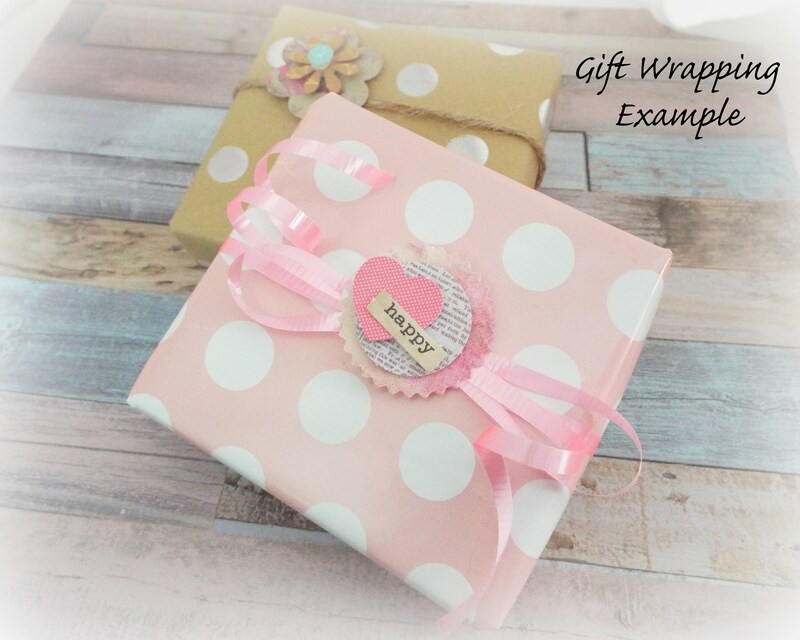 Our gift wrapping is unique and we'll add extra touches to give your gift a lovely and personal touch.